Places are free but limited for this event so should be booked in advance. This event will be followed by Ideas Exchange, an afternoon of new theatre and dance works in progress for young audiences. You can find the programme of work, and book your free place for Ideas Exchange here. 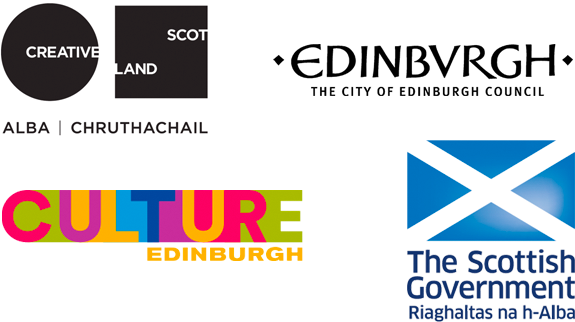 Come and join us for presentations by two fantastic Scottish companies to hear about their experience of adapting existing productions for new audiences and what motivates them to explore this. Has it opened their work up to new audiences, has it impacted on their touring possibilities, and what are the pros and cons of this as artistic practice. Barrowland Ballet will discuss Playful Tiger, a new production for children and young people (age 7+) who are profoundly autistic and mainly non-verbal. Natasha Gilmore and Ellie Griffiths will talk about why they adapted an existing production (Tiger Tale) as a starting point for an ASN piece of work and how Tiger Tale has influenced the new production. Catherine Wheels will talk about why they commit to touring one of their productions into school gym halls each year. In particular, they will talk about the reasoning, and artistic process, of adapting existing works for touring to school audiences. After each presentation there will be time for questions with time at the end for informal discussion and networking over a cup of tea or coffee. Barrowland Ballet is one of Scotland’s most exciting and successful contemporary dance companies touring nationally and internationally. Based in Glasgow, the company name reflects the company’s unique mix of popular culture and high art as well as their East Glasgow base and their belief that dance is for everybody. It is built around the artistic work of choreographer Natasha Gilmore. Barrowland Ballet have performed at the Children’s Festival with productions including Tiger Tale and Little Red. Catherine Wheels is one of Scotland’s most successful theatre companies, making and touring award-wining theatre for young audiences into schools and venues across Scotland, the UK and internationally. The company was formed in formed in 1999 by Artistic Director Gill Robertson who still leads their work today.